Scott leads Delego’s strategic direction and oversees all elements of its operations. Since joining the company in 2015 Delego has grown significantly, leveraging a market-leading suite of electronic payment integration and security solutions, and a customer-centric approach. Scott is an experienced leader, specializing in high growth technology companies. Previously, Scott served as Co-President and CFO of Seekda, a SaaS provider of market-leading online distribution solutions for hotels. He also served as Director of Finance at Sandvine, a publically traded and global leader in network policy control solutions for internet service providers. During his time at Sandvine, the company grew from $15 million to over $100 million in annual revenues. Prior to this, Scott worked for Ernst & Young in both Canada and Australia in their assurance practice. Scott is a Chartered Accountant and holds a Bachelor of Business Administration from Wilfrid Laurier University. Richard McCammon is a foremost expert in electronic payment security and SAP integration. In 1994 Richard began working with the SAP system and, in 1997, became an independent consultant working with major corporations in Canada. In his consulting role, Richard saw an opportunity to produce world-class payment card integration software for merchants using SAP. Delego Software was founded to fill this need, and was certified by SAP in early 2000. Since then, Richard has been a driving force behind Delego Software and the creation of integrated payment solutions for it global customer base. Richard is a recognized technical and thought-leader in the industry and has presented to the American SAP User Group (ASUG), SAPPHIRE NOW & ASUG Annual Conference and SAPInsider Conferences. He was a panelist at ACT Canada’s Cardware 2014 conference and is an ongoing guest on SAP Radio. Richard is a key influencer in card-not-present best practices and processes as a leading member of ACT Canada’s Strategic Leadership Team defining the future of Authentication and Tokenization. Richard holds Bachelor’s and Master’s degrees in Chemical Engineering specializing in computer automation from the University of Waterloo. Peter’s responsibility is to lead the product development and delivery at Delego which includes the engineering, quality assurance, delivery, and cloud architecture functions. Peter brings over 25 years of experience in the design, delivery, deployment, and maintenance of quality software products. In his previous position, Peter served as Director of Software Development for PTC, a provider of ALM (Application Lifecycle Management) software. In this role, Peter was responsible for successfully leading his teams through a transformation to an Agile SDLC model. Prior to this, Peter worked in a number of leadership and individual contributor roles at MKS and Nortel. Peter holds a Bachelor’s degree in Computer Science from the University of Guelph. Doug Fisher is the Vice President of Sales at Delego Software Inc. With over 25 years of sales experience, including 12 years selling SaaS financial and payment solutions, Doug is well positioned to execute Delego’s sales strategy. Helping clients secure and streamline their payment processes, resulting in saving time and money has always been a passion for Doug. In addition to “carrying the sales bag,” Doug has held a number of sales leadership positions for the past 13 years. In his previous role, Doug held the position of Director of Sales at Lone Wolf Technologies and led a team of 25 sales representatives to over $30 million in sales, which represented revenue growth of over 36%. In addition, Doug spent ten years at RDM Corporation where he held a variety of sales roles including Vice President of Sales. Doug graduated with a Master’s in Business Administration from Wilfrid Laurier University in Waterloo, Ontario. Craig is responsible for creating, implementing and evolving Delego’s technology roadmap. Craig has played an integral role in developing the Delego platform and modules and has become an industry-recognized expert in software development in the payment card industry. He is well-versed in navigating the complex requirements for security certification and is an expert in Payment Application Data Security Standards (PA-DSS) and PCI-DSS compliance. Craig holds a Bachelor’s Degree in Software Engineering from the University of Western Ontario. Rachel has joined Delego with a wealth of experience in operational process and procedure improvements. She has an extensive background in accounting, business and transaction management for both B2B and B2C. She currently leads our customer support, professional services, IT and project management teams. Rachel is well known for partnering closely with customers and driving success. Rachel held senior roles in sales, training and customer service for Lone Wolf Technologies, a SaaS company for over 15 years, where she managed a team of 30 professional service team members. 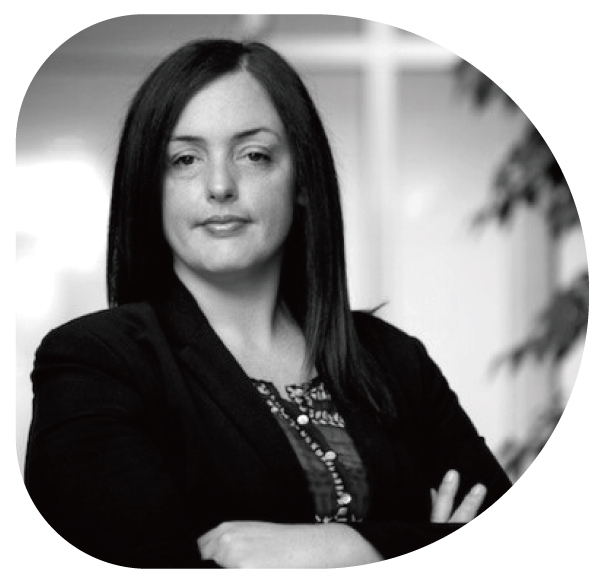 Rachel has experience managing new product launches, systems integrations as well as mergers and acquisitions. As part of the Delego team, Rachel is constantly driving initiatives to streamline process, offer team mentorship and drive operational improvements to align company execution and strategies to our customers success.